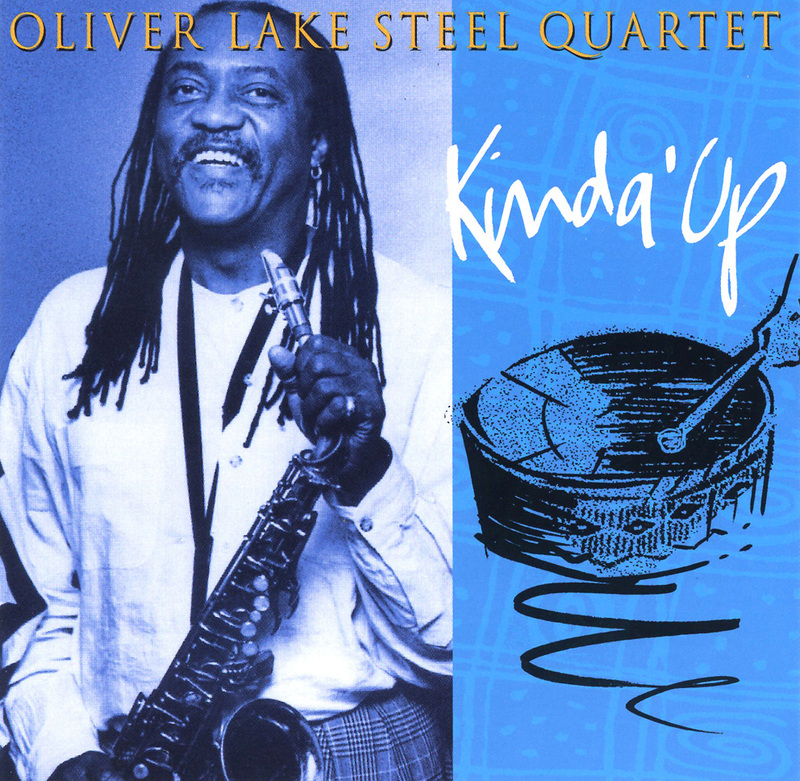 Saxophonist/composer Oliver Lake is perhaps best known as one-fourth of the World Saxophone Quartet, but as a leader he has put together many a thoughtful, cutting-edge session, with occasional forays into a reggae/jazz fusion with his band Jump Up. Here, he debuts his Steel Quartet, which consists of alto (and occasional soprano) sax, bass, drums and Lyndon Achee on steel drums. Steel drums are almost always associated with Caribbean music, but Lake clearly sidesteps that connection. While the sound of the steel drums may evoke a tropical paradise, Achee's playing probably won't--he matches Lake's good-natured but pointedly quirky approach, sounding at times as if he's playing a giant metal harp. The program consists of Lake originals: free-bop with tight, swirling and driving electric bass and drums, except for a blues-rich version of Mingus' "Goodbye Pork Pie Hat" and a funk-charged take on John Coltrane's "Lonnie's Lament." KINDA' UP is adventurous AND fun jazz.